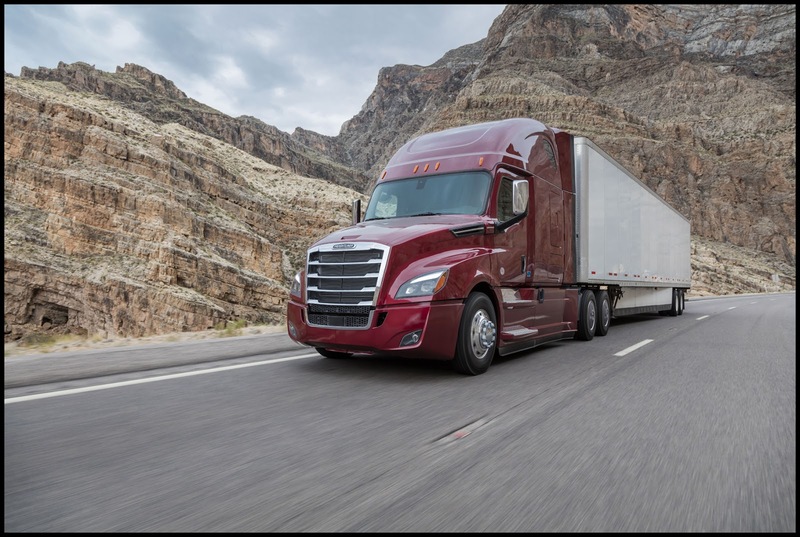 PORTLAND, Ore. – Dec. 13, 2017 – Freightliner Trucks’ new Cascadia® model recently won two 2017 Automotive Brand Contest awards – one for Exterior Volume Brand, the other for Interior Volume Brand. The Exterior Volume Brand award recognizes design in all vehicle classes, while the Interior Volume Brand focuses on features such as cockpits, instruments, airbags, paneling, seats, color and trim. Hosted by the prestigious German Design Council, the Automotive Brand Contest is an international program that honors outstanding product and communication design and focuses on the importance of brand and brand design in the automotive industry. Independent experts with industry experience representing media, design, brand communication and universities serve as the selection jury. With more than 260 member companies, the German Design Council is one of the world’s leading centers for communication and brand management in the field of design. Founded in 1953 to strengthen design competence in German industry, its primary goal is to show how strategic use of design can increase brand value. For more information about the New Freightliner Cascadia, visit www.freightliner.com.